Plot Synopsis: Vietnam veteran and drifter John J. Rambo (SYLVESTER STALLONE) wanders into a small Washington town in search of an old friend, but is met with intolerance and brutality by the local sheriff, Will Teasle (BRIAN DENNEHY). When Teasle and his deputies restrain and shave Rambo, he flashes back to his time as a prisoner of war and unleashes his fury on the officers. He narrowly escapes the manhunt, but it will take his former commander (RICHARD CRENNA) to save the hunters from the hunted. Review: In my preparation for this, I did a search and came across an old review I wrote back in 2004 for the Rambo trilogy DVD set. 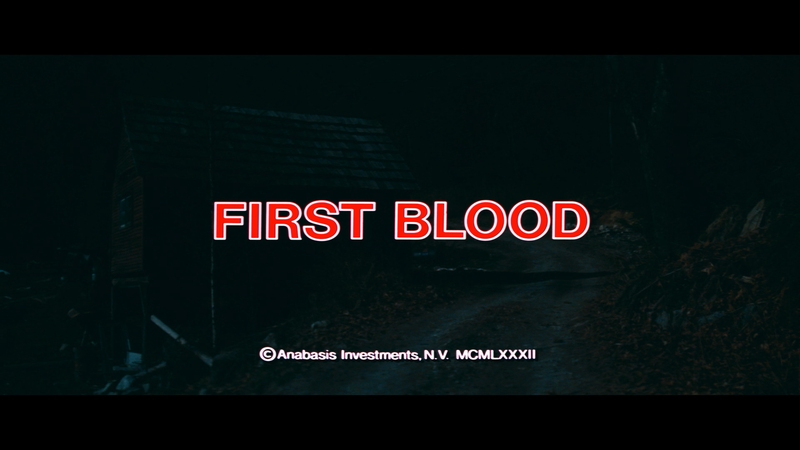 Based on the writing, I apparently was not overly impressed with First Blood finding it didn’t live up to the praise. Well, guess it only took 14 years to perhaps fully appreciate the film. This was only my second viewing never revisiting it since 2004 and frankly, scarily maybe, didn’t really remember a whole lot about the film, even while watching, so more or less went in with fresh eyes. And while it’s not perfect with some of the acting, most notably Richard Crenna who chewed the scenery with his inflection and cheesy speeches, I otherwise found First Blood to be a rather powerful film that tackled PTSD and yes, it does have the over-the-top explosions and action scenes, it does culminate with a heartbreaking and also authentic sounding breakdown with Stallone, made all the more powerful as Rambo doesn’t have a whole lot of dialogue before. As I mentioned, Richard Crenna seemed to be the outlier, perhaps due to spewing some wonky dialogue, but the others performed well. 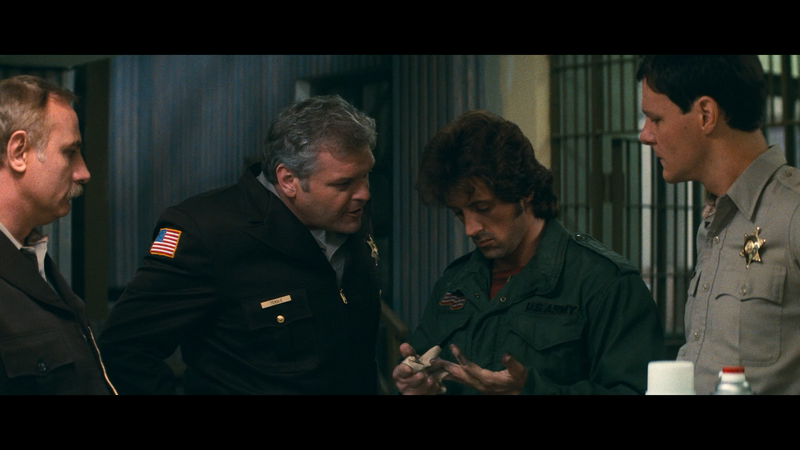 Stallone might spend most of the running around the forest but really sold the role of a lost soldier and Brian Dennehy as the tough-nosed, stubborn and ignorant sheriff worked nicely opposite of him; not an entirely well rounded character but still an effective antagonist and representative of the feelings back in the day towards the Vietnam veterans. First Blood was helmed by Ted Kotchheff who really did an amazing job with some of the action scenes with impressive stunt work, most noticeable during the cliffhanging scene as Rambo attempts to dodge incoming fire from a helicopter hovering close by. Not sure if this kind of sequence would be done today without the aid of visual effects, but doing it practically, with the chopper in frame while Stallone hangs on, makes it more believable. Both tracks aren’t entirely involving but do offer different perspectives from the filmmaking with Stallone while the latter speaks to how it was adapted from his novel. Rambo Takes the 80s Part 1 (17:43) – This featurette contains interviews with a variety of participants, including a crew members, actor Chris Mulkey, film historians, a war veteran and even author Morrell, reflecting on what made First Blood stand out at the time. Making of (22:34) is an older archival featurette with interviews by the cast and crew. Alternate Ending (2:02) – While nice to watch, the theatrical version is far, far better and more emotional. 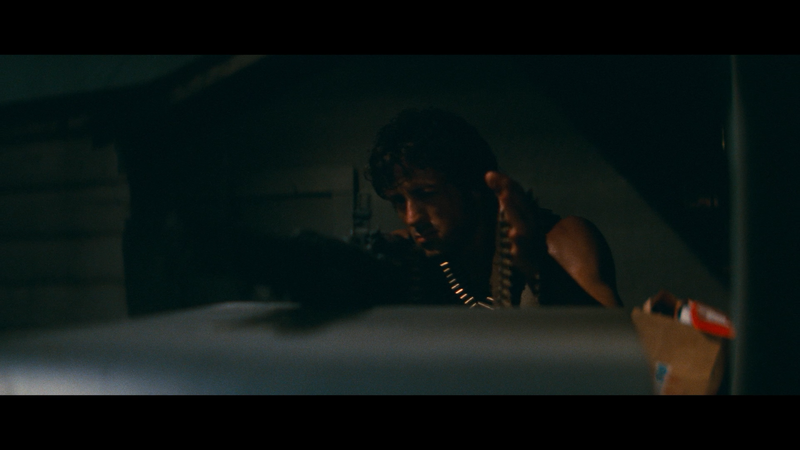 Outtake (0:54) is part of the alternate ending and finds Stallone and Crenna breaking character. 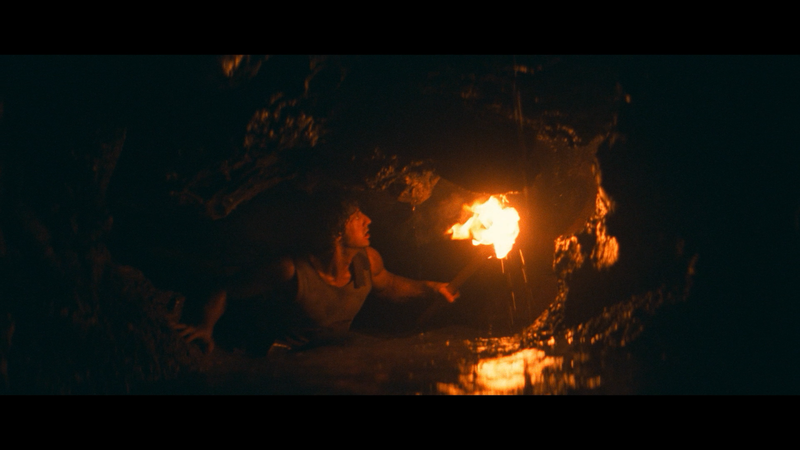 Deleted Scene (2:28) – This scene finds Rambo eating by his campfire experiencing flashbacks to a Vietnamese club. 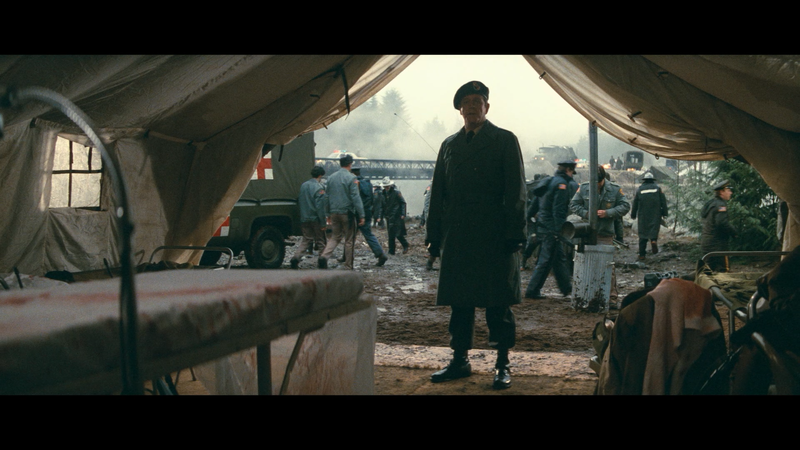 The Restauration (1:35) is a comparison on how the film was cleaned up with the removal of scratches and such. Obviously this was not for the 4K transfer. The Real Nam (26:56) is a documentary about Vietnam from both sides by Vietnamese and veterans alike. Forging Heroes: America’s Green Berets (9:54) – Another featurette on the special forces about the type of soldier it takes with the vigorous training and their roles in the military. How to Become Rambo Part 1 (14:20) is on the training regiment hosted by Stallone’s body building coach. 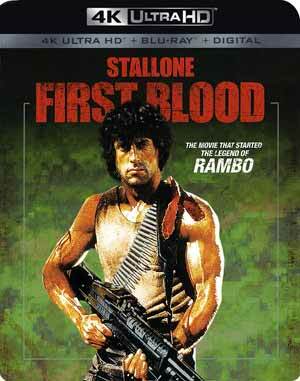 First Blood arrives on 4K Ultra HD presented in the film’s original 2.35 widescreen aspect ratio and given a 2160p high-definition transfer (HEVC codec). The picture does look excellent in the format showing off sharp detail throughout, retaining the fine film grain as colors were generally bright aided with the HDR, though nothing that seemed oversaturated or artificially boosted. Black levels were decent enough without appearing too dark, with the ability to still discern the action going on screen. Skin tones look natural as well and the 4K really brought out the definition in Stallone’s muscles. The disc comes with the old but still effective DTS-HD Master Audio 5.1 track and although I don’t feel it had a lot of oomph to it, the dialogue did come through with good clarity and the action sequences were alright, however the bulk of it took place via the center channel and the LFE track rarely kicked or were that utilized. The surround speakers meanwhile were mostly relegated for ambient noises and Jerry Goldsmith’s energetic score. Overall, First Blood was a fantastic and well made action-thriller that gave audiences a bit of a different look at Sylvester Stallone outside of his Rocky character and outside of Crenna’s scene-chewing moments, this is a great film and heartfelt performance by Stallone. This 4K UHD release from Lionsgate offers great video/audio transfers, certainly superior to its Blu-ray release, and some fine bonus material.